When your tread wears down to 4/32 of an inch you start to lose significant traction on wet or snowy roads. A Washington quarter, placed upside down in the tread grooves at several points, is a handy gauge. You’re o.k. if the tread covers part of Washington’s head. To be legal in most states tires must pass the Lincoln penny test, a minimum tread depth of 2/32 inch. Manufacturer’s also place wear bars in the grooves between tire treads. When the tread is nearly flush with the bars, it’s time to replace your tires. Tire size and other important information are imprinted on the tire sidewall. How do you know what tire fits my vehicle? Original Equipment tire sizes shown in search results for particular vehicles are determined based on the best information currently available to us from vehicle manufacturers and from manual inspection of new vehicles as they are released. Many vehicles have optional trim levels/packages that include different tire sizes. This "Additional Model Info" is listed for you to choose from in search results as well. Since variations in tire size based on options or vehicle manufacturer changes may determine the Original Equipment tire size on your vehicle, always verify the size you are purchasing matches the tire size for your vehicle (usually found in the door jamb, glove box lid or gas cap door) or in the Owner's Manual. The Optional Tire Sizes featuring different rim diameters we list for many vehicles are based on over 30 years of experience we have with plus size wheel and tire combinations. However, it is important to note that these optional tire sizes are based on vehicle specific wheel sizes/offsets offered by Tire Rack. Every 6,000 miles, or every other oil change, assuming you change oil every 3,000 miles. We recommend using the tire pressure that the vehicle manufacturer recommends. This information located on the Tire Information Placard is normally located on the inside driver’s door jamb. We suggest you do not deviate from this tire pressure. Pressure requirements may change when plus sizing tires. You may use the Recommended Tire Pressure Lookup Tool to view the manufacturer recommended inflations for standard sized tires on your vehicle. O.E. tires are designed to the vehicle manufacturer’s specifications and do not offer a mileage warranty. However, your tires are warranted for workmanship. 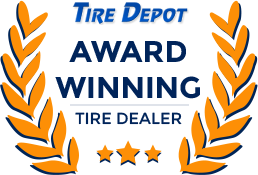 A tire’s speed rating indicates the speed category (or range of speeds) at which the tire can carry a load under specified service conditions. The speed rating system used today was developed in Europe in response to the need to control the safe performance of tires at standardized speeds. A letter from A to Z symbolizes a tire’s certified speed rating, ranging from 5 km/h (3mph) to above 300 km/h (186 mph). This rating system (listed below) describes the top speed for which a tire is certified. It does not indicate the total performance capability of a tire. When this speed rating system originally was developed, the Unlimited V category of over 210 km/h (130 mph) was the top speed rating a tire could achieve. As manufacturers made more tires that did not fit this category, it was necessary to better regulate performance at standardized speeds to ensure safety. The Limited V category of 250 km/h (149 mph) was then created, and the Z speed rating was added as the top speed rating that a tire could achieve. W and Y limited speed symbols have been added as higher speed categories. Always consult the manufacturer for the maximum speed of Unlimited Z tires. Speed rating is identified as a part of the tire’s sizing or service description. Why can’t I use only two winter tires? If you were to put winter tires on only the front or rear of your vehicle, you would create a vehicle with a split personality. Leading automobile manufacturers such as BMW, Mercedes-Benz, Honda, Nissan and Toyota recommend in their owner's manuals that you install four winter tires for winter driving. 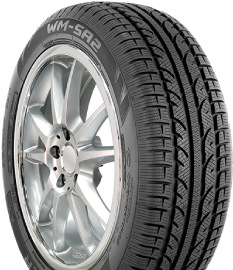 By installing four winter tires, you maintain the most balanced and controlled handling possible in all winter driving conditions. It is imperative to keep the same level of traction at all four corners of the car; otherwise, the full benefits of ABS or traction control systems will be lost. My car pulls to one side. Could this be a problem with one of my tires? Possibly. A very soft tire can cause your car to pull to one side, but this is a very unsafe situation. Your car could also be out of alignment. 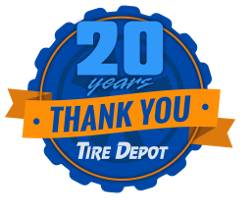 Stop by Tire Depot for assistance.